Picking bag (one peck/12 lbs) - $25. 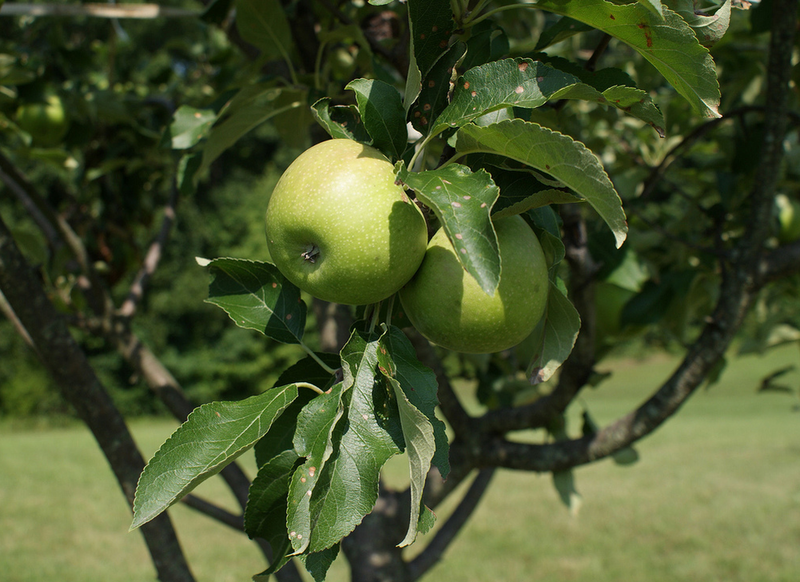 Bright green apple, flesh is bright white and crisp in texture with a tart, acidic, yet subtly sweet flavor. Has a sweet-tart taste, large in size its flesh is crisp, juicy and creamy yellow in color. Creamy yellow flesh is crisp and dense offering a mildly sweet and tangy flavor. Highly aromatic and sweet-tart flavor mellows, with a fine-grained and crisp texture. Mildly sweet flavor, creamy white flesh is slightly crisp. Crisp with a tart flavor, apple is excellent and delicious. Crisp and excellent with cheese. Very sweet pear is excellent for a salad. Served with cheese, this pear is a perfect closure to a meal. Aristocratic in appearance and delicious flavor. Pears are ideal for canning, side dish dessert or poach.